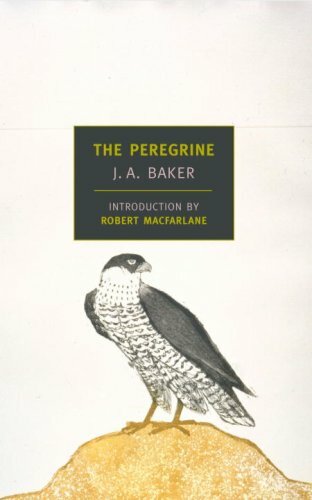 A carefully observed, and evocatively presented, classical account of the peregrine falcon in its environment. From fall to spring, J.A. Baker set out to track the daily comings and goings of a pair of peregrine falcons across the flat fen lands of eastern England. He followed the birds obsessively, observing them in the air and on the ground, in pursuit of their prey, making a kill, eating, and at rest, activities he describes with an extraordinary fusion of precision and poetry. And as he continued his mysterious private quest, his sense of human self slowly dissolved, to be replaced with the alien and implacable consciousness of a hawk. It is this extraordinary metamorphosis, magical and terrifying, that these beautifully written pages record. 191 pgs. 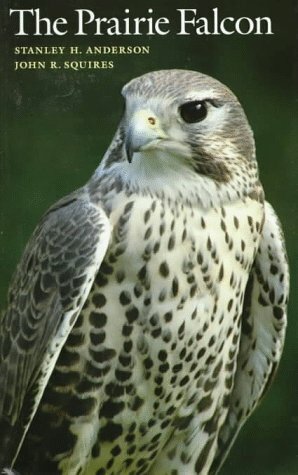 Covers all aspects of the Prairie Falcon's life history from mating & rearing young to hunting behaviors & the yearly migration cycle. With complete descriptive characteristics for identifying the Prairie Falcon and comparing them to other raptors, especially the closely related Peregrine Falcon. Color photos. 162 pgs. An almanc of hawks, eagles, & falcons of the world. This is the first comprehensive guide to the biology, ecology and conservation of diurnal (daytime hunting) birds of prey, assembling all the facts and fables about these mysterious and glorious birds. Weidensaul addresses a range of questions, including the antiquity of the world's raptor species and their evolutionary history. (In this matter, his text is thoroughly up-to-date and includes the results of recent genetic research by which carrion-feeding New World vultures have been reclassified as relatives of the stork, and not of predatory hawks, eagles, and falcons.) He traces the fortunes of species such as the peregrine falcon, which had all but disappeared in North America by the 1960s owing to hunting, habitat destruction, and the use of deadly pesticides, but which has returned to the wild thanks to a vigorous program of reintroduction. Other success stories await, and Weidensaul offers helpful notes on building nest platforms and boxes, aiding injured birds, contributing to conservation groups, and otherwise seeing to it that raptors flourish. 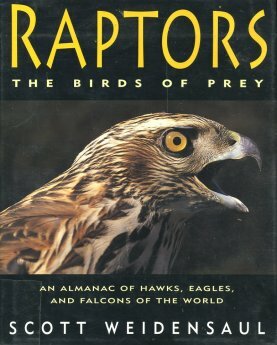 Weidensaul's encyclopedic guidebook to the world's principal raptor species, well illustrated with photographs, maps, and charts and full of detailed information, is an ideal companion. Over 100 full-color photos. 382 pgs. Song & Garden Birds covers: 27 species portrayed in color and fully described. Reveals secrets of their lives, courting rituals, battles for territory, lists of bird field marks & range. Color photos. 400 pgs. Water, Prey & Game Birds covers: Life histories, breeding and winter ranges, lengths, & characteristics Covers: seabirds, hawks & owls, vultures, ducks, geeses, grouse, wading birds, and little shorebirds. 329 species portrayed in color and fully described. 464 pgs. National Geographic Society Books. This guide presents hawks, falcons, ospreys, eagles, kites, owls, and vultures. Lethal talons, hooked beaks, and exceptional eyesight are all common to these majestic predators. Reminiscent of nineteenth-century botanical prints, the full-color illustrations in this guide are miniature watercolors, as delightful to look at as they are accurate. With each illustration the reader will find the popular and scientific names, size, range, and a concise description of the habitat or an interesting bit of lore. Ideal for the backpacker or dayhiker, the book fits handily in the pocket. 40 pgs. Owls are spectacular and fascinating birds, both in the wild and in captivity, with interest in keeping and breeding them rapidly increasing. 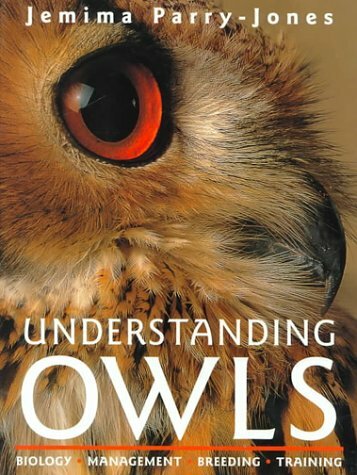 The author shares her expertise, gained from a lifetimes experience of working with birds of prey, to give sound practical advice on how to care for these magnificent creatures, with chapters on housing and equipment, incubation and rearing, and training and flying owls. 160 pgs. Life histories, breeding and winter ranges, lengths, & characteristics Covers: seabirds, hawks & owls, vultures, ducks, geeses, grouse, wading birds, and little shorebirds. A National Geographic Society Book. 329 species portrayed in color and fully described. 464 pgs. Produced by the National Geographic Society as a companion to the book "Water, Prey & Game Birds of North America" by Alexander Wetmore. 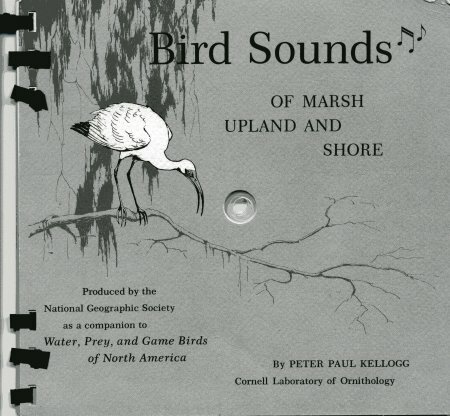 Whether on Chesapeake Bay or in a Southwest canyon, in the Florida Everglades or on the Alaskan tundra, on the prairies or along the seacoasts, Dr. Kellog presents field recordings of 97 of the most expressive feathered personalities found in the book "Water, Prey & Game Birds of North America". 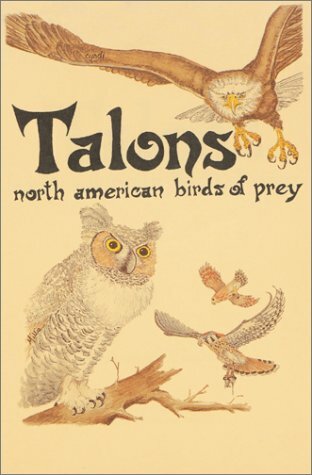 As he introduces each bird, Dr. Kellog refers you to the page in the book ("Water, Prey & Game Birds of North America) where you will find the species described. This booklet consists of six pages of 33-1/3 rpm phonographic records, with directions on how to play them on a record player. Condition: Very Good- all records are flat & appear to be scratch-free. We did not play the records. On Valentine's Day 1985, biologist Stacey O'Brien first met a four-day-old baby barn owl -- a fateful encounter that would turn into an astonishing 19-year saga. With nerve damage in one wing, the owlet's ability to fly was forever compromised, and he had no hope of surviving on his own in the wild. O'Brien, a young assistant in the owl laboratory at Caltech, was immediately smitten, promising to care for the helpless owlet and give him a permanent home. Wesley the Owl is the funny, poignant story of their dramatic two decades together. With both a tender heart and a scientist's eye, O'Brien studied Wesley's strange habits intensively and first-hand. 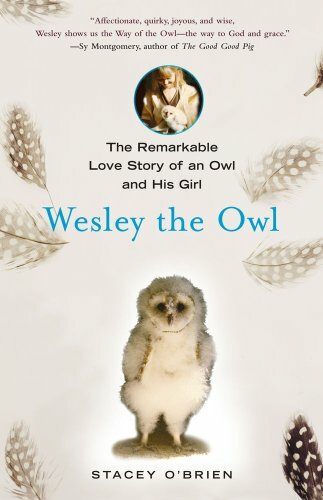 As Wesley grew, she snapped photos of him at every stage like any proud parent, recording his life from a helpless ball of fuzz to a playful, clumsy adolescent to a gorgeous, gold-and-white, macho adult owl with a heart-shaped face and an outsize personality that belied his 18-inch stature. Stacey and Wesley's bond deepened as she discovered Wesley's individual personality, subtle emotions, and playful nature that could also turn fiercely loyal and protective -- though she could have done without Wesley's driving away her would-be human suitors! Enhanced by wonderful photos, Wesley the Owl is a thoroughly engaging, heartwarming, often funny story of a complex, emotional, non-human being capable of reason, play, and, most important, love and loyalty. It is sure to be cherished by animal lovers everywhere. 240 pgs. 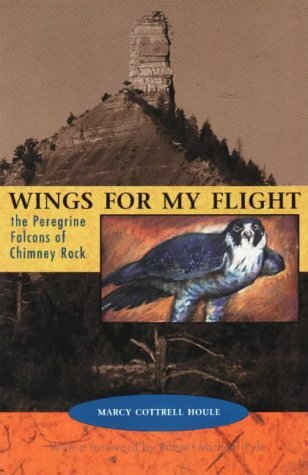 In the pristine desert of southern Colorado, a wildlife biologist spends a grueling summer atop Chimney Rock observing a pair of nesting falcons, a species perilously close to extinction. She hopes her research will shed light on how to help the species recover. Living with no phone, running water, or electricity, she & a colleague watch the falcons with increasing awe & soon discover that there is far more at stake than the survivial of a species. She learns that a nearby town plans to develop Chimney Rock as a tourist attraction. The real-life drama that unfolds is rife with conflict, sadness, humor, & profound humility. This book tells the coming-of-age story of one biologist who, through the help of another species, comes to a greater understanding of her own. 187 pgs. by: Austing, G. Ronald & Holt, John B. Follow the life cycle of the Great Horned Owl through a year - Spring, Summer, Fall & Winter. Also learn about owls & man, & Great Horned Owl subspecies. B/W photos. 158 pgs.